After a month-long hiatus, I return not to miss the chance to talk about the upcoming release of Prometheus, marketed as a prequel of sorts to Alien, one of the most significant sci-fi thrillers of all-time and one of my favorite films. Even though I count myself as a true fan of the franchise, especially of the first two installments, I have gathered the impression that there is a lot of skepticism about the continuation of the franchise, understandably so given that the last few attempts to revive it have been such a disappointment. 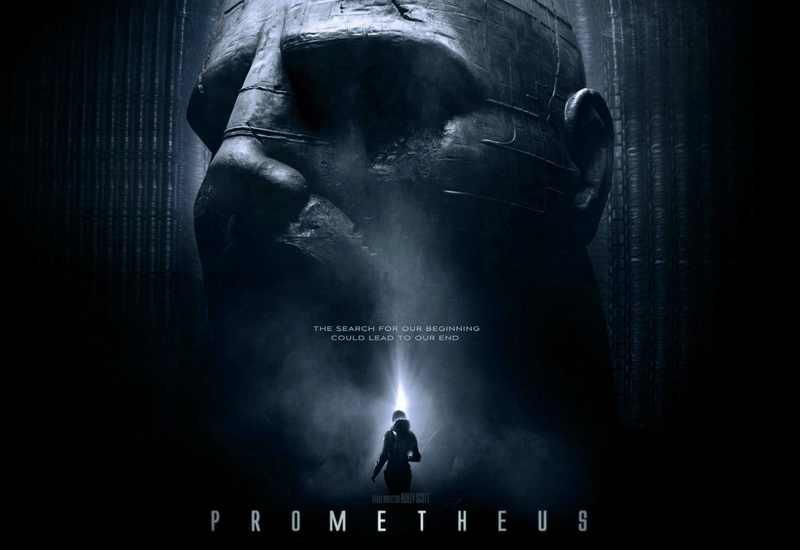 Besides the obvious lack of inventiveness that comes attached to revisiting an old concept, Prometheus shows a lot more promise than its predecessors (namely Alien Resurrection and Alien vs. Predator). In fact, the film marks the return of Ridley Scott to science fiction, a genre that he helped define with two iconic films: Alien and Blade Runner. Alongside the British director, there is also a cast led by quality on-demand actors. Among them is Charlize Theron who after starring in the critically acclaimed Young Adult opposite a surprising Patton Ostwalt, she will have a good shot at being at the top of the box office two weeks in a row with two different films: Prometheus and the lavish Snow White and The Huntsman. Next to her will be Michael Fassbender, the German-born actor who has suddenly turned into one of the most sought-after stars in the planet after a string of successful and critically acclaimed films released in the last two years. While the argument can be made that Ridley Scott has been a hit or miss since his sci-fi masterpieces over 20 years ago (with Gladiator and Black Hawk Down along the way), it’s hard to find a poor film in the recent resume of either Fassbender or Theron. Aware of the bad Hollywood habit of revealing just a little too much on previews, sneak peeks and trailers, I have actively avoided anything concerning the film beyond the 30-second sneak peek that was first released earlier this year. My research, though limited, has focused on knowing who’s involved with the film and what the story will be. After an initial attempt to keep everything very mysterious, the producers decided to reveal a little more with the last trailer, albeit not enough to ruin some surprises viewers might find along the way. All in all, the producers have been very careful so as not to reveal too much, trying to keep the details sealed and the actual connections to Alien very vague. 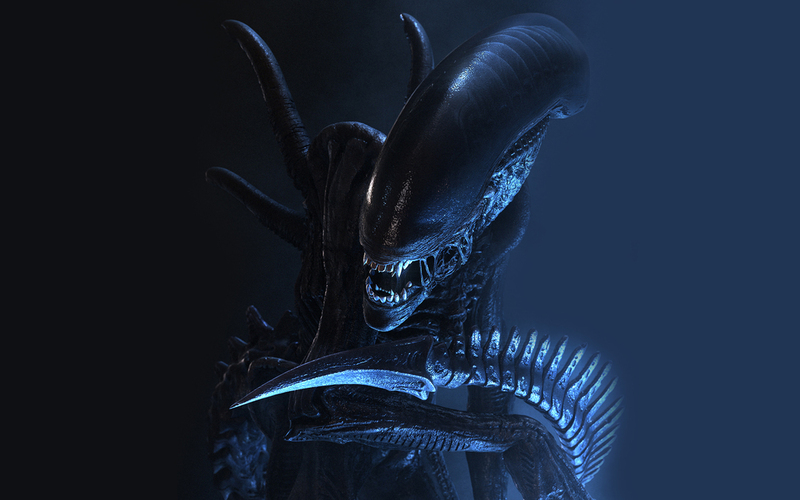 While the suggestion is that the film takes place sometime before the events shown in the first Alien, Ridley Scott has been quoted as saying that even though Prometheus is inspired by the legacy of the franchise, it still creates a whole new world that expands and reinvents the famous story. Unlike most mainstream movies, Alien is a film with several unresolved mysteries, some of which might be addressed by Prometheus. There is, for example, the mystery surrounding the origin of the ship discovered by the Nostromo in the first Alien film. There is also the remains of a large creature found inside a chamber in the spaceship. Famously, the creature provided the first clue as to the nature of the monster the crew was about to face, but no explanations were given as to the nature of the fossilized specimen itself, affectionately referred to by the film crew as “The Space Jockey“. Seeing that some of the imagery released to the public about Prometheus contains an exact replica of the ship found by the Nostromo in the first Alien, it is safe to assume that the latest Ridley Scott film will address some of these lingering questions surrounding the story of Alien that were never explained. Whether these discoveries add or subtract from the legend of Alien remains to be seen. After all, some secrets are better left untouched. 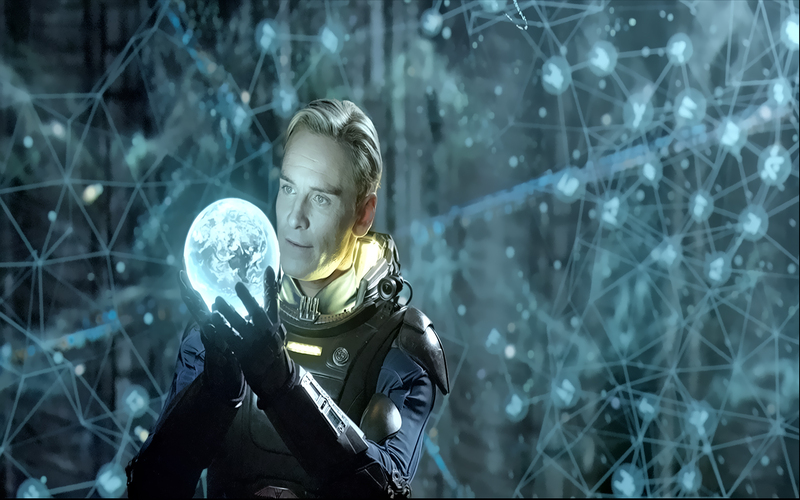 As fans of the franchise will duly point out, Prometheus has remained mysterious in one key aspect: will the new film bring back H.R. Giger’s monster? The so-called Xenomorphs? The question is an important one because it will not only tell us how close Prometheus relates to the original, but it would also be interesting to see how the monster is brought to life this time around. Will it be the product of CGI? Or will it combine elements of computer animation with the older real-size mock ups that were so effectively used over 30 years ago? Released in 1979 riding on the unexpected success of Star Wars released just a couple of years prior, Alien received love from audiences and critics alike, launching the career of Sigourney Weaver as a lead actress and sci-fi icon that would feature as the central character in the next three films. While Ridley Scott introduced Alien to the public as a sci-fi thriller with the pace and character of a horror film, with James Cameron the franchise would get grander and more action-driven, as if the first film were on steroids. 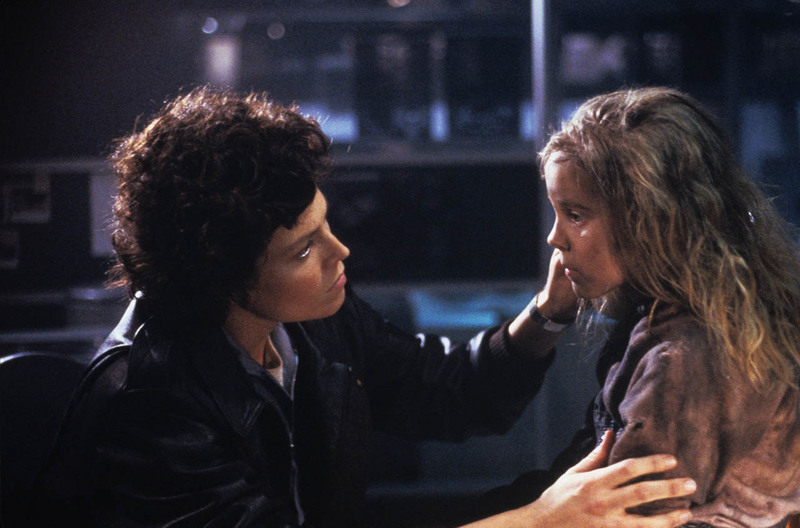 In the second part, the writers brilliantly introduced the character of Newt, wonderfully played by Caroline Henn, a one-time child actress who single-handedly made the film feel more personal, kicking in Ripley’s motherly instinct and turning the franchise into Ripley’s personal survival battle against powerful foes. A bit less fascinating was David Fincher’s Alien 3 released in 1992. In this occasion, the film unexpectedly lost the loveable Newt right off the bat, a move that was not altogether intentional since the child actor had scheduling conflicts and could not be a part of the new film. Alien 3 was also the darkest of the trilogy, showing a battered Ripley who has lost it all and is now trapped inside a prison carrying an Alien in her womb. Though the film is wonderfully stylized, much of the excitement is taken away, victim of a formulaic approach that seems to mimic the construction of the previous two installments. Leaving out the terrible Alien vs Predator gimmick which is based on a video game inspired on the success of both franchises, there is also the flawed Alien: Resurrection, or Alien 4. Directed by Jean-Pierre Jeunet in 1997, three years before his masterpiece: Amelie, the film brings back Ripley from the dead, or rather, a clone of the former Ripley that is part human and part Alien. Beyond the uninspiring premise, the film has an odd, sadistic, over-sexualized feel that detracts from the already poor action sequences. The monsters, which feature prominently in the previous instalments, now become props of sorts that need extermination after scientists have tried to study them for two centuries. Will Prometheus reinvent Alien much like Christopher Nolan has reinvigorated Batman? Lets hope it does, for your sake, my sake, and that of everyone involved with the film. I am seeing it tonight!! Yes I am excited, yes I am worried I will be let down!! Can’t wait to see what you have to say about the film. Thanks for the encouraging words Scott! Prometheus was very emtertaining and suspenseful, based on this article, I guess you’ll be seeing it whatever I say! You are right in being sceptical, luckily I think the writers and Ridley succeed in re-energizing the Alien franchise.I thought it was the most intelligent Alien script to date, so for a mature audience too. Great to have you back in my blog Chris, I have to stop by yours and check what you’ve been up to. Nice post Niels, a great way to get back into blogging again 😀 Amen to what Scott says about your writing. I have been a fan of Ridley Scott’s work, even the critically-lambasted Robin Hood is enjoyable. I am hopeful this will be a GREAT sci-fi and I think it looks poised to be box office gold. Lets hope the film is high quality before we even think about sequels. Thanks for the kind words Ruth! Good time to get the anthology. I hope you enjoy the thrid and fourth part more than I did. I just watched the first all over again, probably my 20th time, and it still rocks! Long live Sigourney Weaver !! Quite a knowledge. Wish I could join the discussion. Good to have you back, Niels! Thanks for stopping by. Why not join? Great piece and feel like I got a bit more out of it after having seen Prometheus. Ridley Scott’s done some great work and continues with it with Prometheus, but perhaps, it’s still not surpassing his past films. The marketing for Prometheus has been excellent – I’ve loved the viral marketing stuff. Very nifty. Glad to see that the early reviews of Prometheus are mostly positive. It’s good to be back and glad to have you all back visiting my site. I thought Fassbender was born in Germany to a German dad and an Irish woman and has lived in Ireland since he was two. I am also pumped up about Prometheus and have been trying hard to ignore all the naysayers.